Dog training books can be a handy source of information to help you understand your canine friend a little better and train him more efficiently. Remember, a well-trained dog is a credit to his owner. So, where do you turn when you need help training Rover to follow your lead? You can take him to one of the numerous dog training schools in communities across the country, but finding a class that fits your schedule may not always be possible. For those who need to fit training in between a busy work week and shuffling the family around town, dog training books can be a viable alternative. Guides are available on every dog training issue imaginable, and each author has their own slight twist on the many acceptable methods you can employ to teach your pet what he needs to know. With this in mind, it will be up to you to decide which methods best suit your pet's needs and personality. Many fine dog training books can be found right at your local bookstore, but if you want a truly large selection of choices, the internet is the place to go. A quick search for dog training books reveals hundreds of tomes on every aspect of canine training, however, if you're a fan of decent pricing and convenience, a trip to Amazon.com may be in order. This online retailer is a virtual shopping mecca, where you can choose to purchase new copies of the most popular training books, or you can save a few dollars by buying used copies. Prices can be as little as $2.00, and the five star customer rating/review system will give you an idea of how useful a particular training guide has been to other pet owners. Let's sort training guides into a few major categories, and look at some of the most popular current offerings. 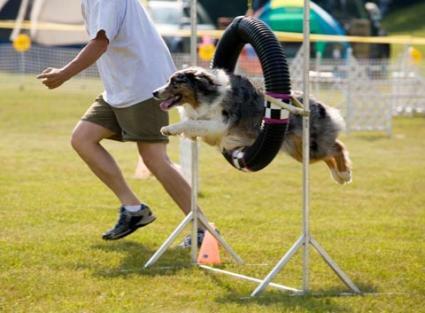 Understanding how your dog thinks is vital to training him efficiently. Once you understand the theories of pack mentality and dominance, you can proceed to teaching your pet the things he needs to learn to remain a part of your happy home. Cesar's Way by Cesar Millan is a great view into the canine mind. You may already be familiar with Cesar from his show Dog Whisperer on the Animal Planet network. Cesar is a great advocate of using a dog's instinctual behaviors to an owner's advantage, using them to solve common training issues and eliminate undesirable behaviors. Cesar clearly defines the difference between punishment and discipline, showing us how to train our pets without teaching them to fear us. Aggression in Dogs: Practical Management, Prevention & Behaviour Modification from author Brenda Aloff provides excellent insight on the canine psyche. Amazon users give this guide a particularly glowing review of four-five stars, citing that although the text is a bit more technical, and therefore a little harder to read through, the information is solid, and some users have been able to modify their pets' aggressive behavior using the info provided. Do you have a new puppy, or are you just thinking about getting one? Training a puppy differs slightly from training an adult, so a puppy guide should be on your list. Puppies for Dummies by Sarah Hodgson is one of the best puppy guides, packed with useful training tips, and other info to help you care for your pet. If you're familiar with the For Dummies series of books, then you may already know that they are well organized, making it easy to learn about every topic covered. How to Housebreak Your Dog in 7 Days from Shirlee Kalstone has been in print for over twenty years and is still going strong. The book has been revised with slightly updated info, but again, Amazon customers give this book a consistent five out of five stars. Will you get the same results? There's no guarantee but following the training advice in this guide has helped many people to successfully housebreak their pets, so it's likely worth a try. Crate Training Your Dog by Pat Storer teaches owners the benefits of training your dog to spend time in it's crate. Owners will learn how to properly accustom their dog to being confined without all the drama and trauma that is usually associated with this particular training issue. 21 Days to Train Your Dog: Learn How Any Dog Can Be Taught the Basics of Obedience Training In Just a Few Minutes Each Day from author Colin Tennant is a concise training guide at just 160 pages, but it's very popular. Colin begins on the right foot by teaching owners that they must become the dominant member of their "pack" if they want to gain the upper hand in training their pets the basic control commands of "come", "stay", "sit", and "heel". My Dog Pulls. What Do I Do? by Turid Rugaas provides advice on how to teach your dog to walk comfortably on a leash without all the tugging and dragging. If you haven't found a title to help you get started on your own particular dog training issues, rest assured the right training guide is out there. Just keep in mind that no one knows your pet better than you do, so use your best judgment as you apply any new training techniques you learn from these guides. Remember, kindness and consistency are the keys to training success.